Hamas official Rafiq Abu Hani said in a speech that aired this Sunday on Al-Aqsa TV (Hamas/Gaza) that "the goal of the Palestinians is Jihad for the sake of Allah." He then drew a handgun and brandished it, saying: "We all agree that our weapons – in which lie our honor and strength – will be put down only in the Al-Aqsa Mosque compound." 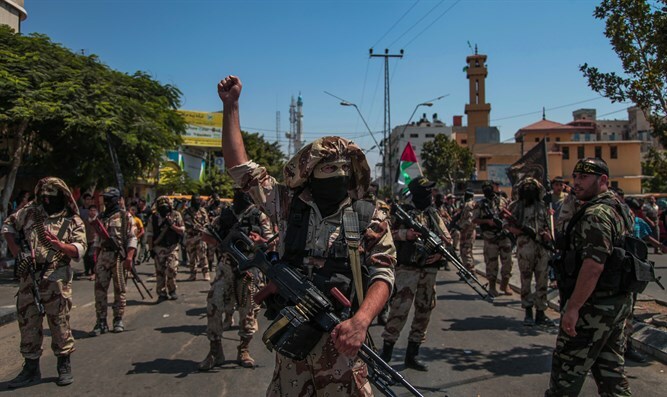 Addressing Mohammed Deif, the Al-Qassam Brigades, and the "heroes of the resistance" in Judea, Samaria, and Gaza, he said: "Take our livelihoods from us and buy more [guns]! Take our salaries and buy more [guns]!"